I learned everything I know about followup from an F500 executive back in the 80s, and it helped me be successful. Here’s how I’ve modernized his lessons. Working for a Colgate-Palmolive executive in the 80s was something of a formative experience for me; it taught me a lot about what to do and what not to do to be operationally successful. 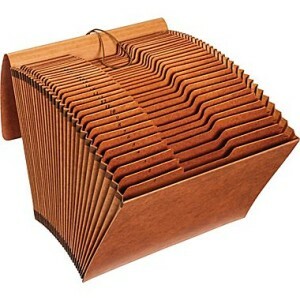 One of the things that I noticed that made him highly successful was his “follow up folder.” He’d get a (paper) memo, grumble, and then call out to his assistant, “Louise, follow up folder, 30 days.” Like clockwork, in the morning, Louise would pull something from the follow up folder that needed to be done. His colleagues thought he had a mind like a steel trap. But he also had Louise and the follow up folder. And Louise and the follow up folder made him highly, highly effective. Magically, projects never got stalled, and details never got dropped. I noticed, and copied his methods early in my career with great success. Fast forward to the age of technology. How do we use the “follow up folder” in the modern age? Well, I’m sure that my methodology will change, because that’s the world of technology we live in, but for the moment, here’s what I’m doing. I’ve always preached using your calendar as a three-dimensional to-do list. So, I’ve always treated the modern electronic calendar as my follow up folder. That is, drag and drop your email that needs follow up to the appropriate follow up date. – Limited to important tasks. I only use this method for truly important tasks. It’s not scalable. If I did it with everything, it would clutter up my calendar. – Complex. This method of follow up is a multi-step process. Drag, drop, copy, paste, think about what date “14 days out” is, etc. I’m starting to try SaneBox’s “Snooze” feature, so that I can batch process my non-urgent (but still important) emails when they become timely. – SaneNextMonth. I get lots of emails that say “let’s handle this next month.” Great. One drag, done. – SaneNextQuarter. I operate my business unit on a quarterly rhythm. We set goals, report on goals, review progress, on a quarterly basis. Many times an email might contain a good idea that we’re not ready for THIS quarter, but might be ready for NEXT quarter. I was using a phone-based app to push emails forward and make them into to-do or follow up items, but ultimately I got away from that because there was no desktop client. I may switch back to that in the future. For me, it’s about what is an effective follow up technology today. Today that means Sanebox. Please note: I don’t have a financial relationship with Sanebox. I am really happy with this capability, so I wanted to share it with you; it’s easy and effective. The larger point is: follow up is the oil of progress. The person who creates progress at your organization is like gold. Be that person.